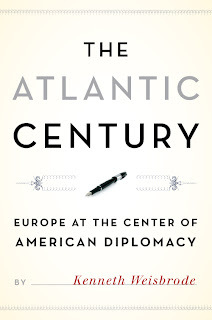 After designing a long run of fiction, it's great to pick up a non-fiction title. 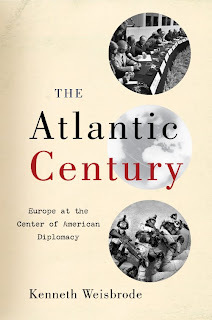 Here is a jacket I did recently for Georgia Feldman at Da Capo Press. I've worked with Georgia many years now, first at W. W. Norton and now at Da Capo. A small aside: Georgia gave me my first fiction cover years ago after coming from Da Capo where I designed only non fiction titles. So, life really is full circle. 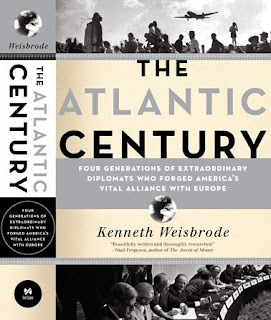 Book description: Weisbrode's central argument is that “Atlanticism” came to be as much from personalities as it did from the pressure of external events. 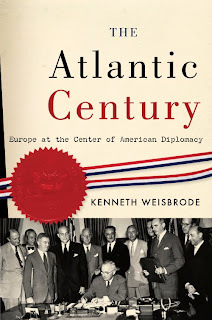 Over the past one hundred years, our awkward and tentative European network was carefully constructed by a network of allies, friends, and supporters who imagined, built, and sustained a new international system in which America and Europe were part of a single transatlantic community of nations rather than rivals or one another’s periodic savior. 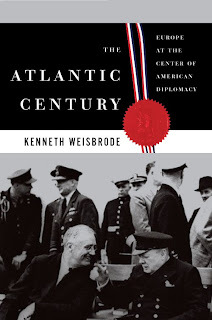 The art direction stated to have something epic, drawing attention to the key moments in history & the idea of building a bridge between the US and Europe. Here is my first round. All of these were deemed too academic and minor looking (ouch), so I was asked to revise. It became apparent that the book needed more of a "big book" look. I have to say, in the case of this cover, the revision really did end up being the best solution in my mind. It's also a situation where the jacket actually printed exactly as I had imagined it. As someone who doesn't work in-house and has little control over the production of jackets anymore, it's amazing how rare it is to be able to say this!